The word of the season was finish, and what a finish it was. 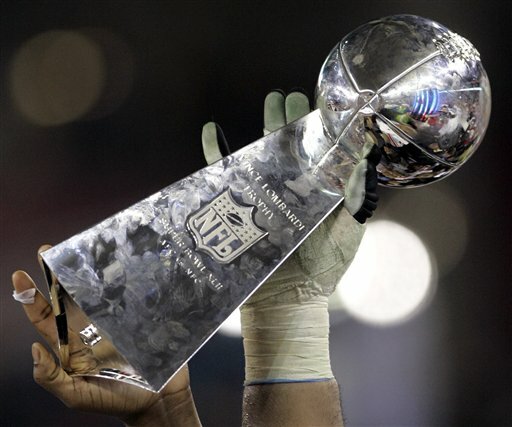 The Giants trailed by two points in Super Bowl XLVI when they got the ball back at their 12 with 3:46 remaining. Eli Manning started the drive with a 38-yard pass down the left sideline to Mario Manningham, who managed to get two feet in. The play was challenged by the Patriots but upheld as a completion. Manning then drove the Giants to the 6, where the Patriots gave Ahmad Bradshaw a free run into the end zone with 57 seconds left so they could get the ball back. It probably was the only touchdown Bradshaw ever scored that he wished he hadn't. He put on the brakes at the goal line but couldn't keep his balance and fell backward into the end zone, which was exactly what the Patriots wanted. It gave the Giants a 21-17 lead -- they failed on the two-point conversion run -- but the Patriots and Tom Brady got the ball back with 57 seconds remaining. The Patriots began at their 20, and after two incompletions -- including a drop by Aaron Hernandez -- Justin Tuck sacked Brady for the second time to set up fourth-and-16 from the 14 with 39 seconds left. Brady sidestepped pressure and completed a 19-yard sideline pass to Deion Branch. An 11-yard pass to Hernandez put the ball at the Patriots' 44 with 19 seconds left, and Brady spiked the ball to stop the clock. Then he threw incomplete to Hernandez and incomplete to Branch. The final play of the game was a third-and-5 from the Patriots' 49, and Brady threw into the end zone. Hernandez was the first Patriot with a shot at the ball, but Rob Gronkowski had the best chance to catch it for what would have been the winning touchdown, diving in desperation for the deflected pass. Instead, the ball fell to the ground and the Giants won their fourth Super Bowl title, 21-17.